There has been incomplete investment in the strategy of economically relevant traits. By 1989 approximately 20 breed associations were producing genetic estimates. In 1995 there was whole herd rporting, international cattle evaluation, and online reporting and recording. In 2004 economic selection indexes were implemented. From 1998 to 2008 breeds moved to in-house or service provider evaluations, rather than using the services of universities. Golden states that he sees implementation of genomics as an incremental improvement in accuracy of prediction, but not how we "use" the traits. Shows that genetic predictions have been produced for 75 different traits across many breeds. Economically relevant traits: are the traits that directly affect profitability as they directly affect cost or revenue stream. Due to the math, genetic predictions for economically relevant traits and indicator traits must both be produced simultaneously. Using the EPD of an indicator trait decreases the accuracy of the selection decision. Examples of indicator traits: scrotal circumference which is correlated with heifer puberty. 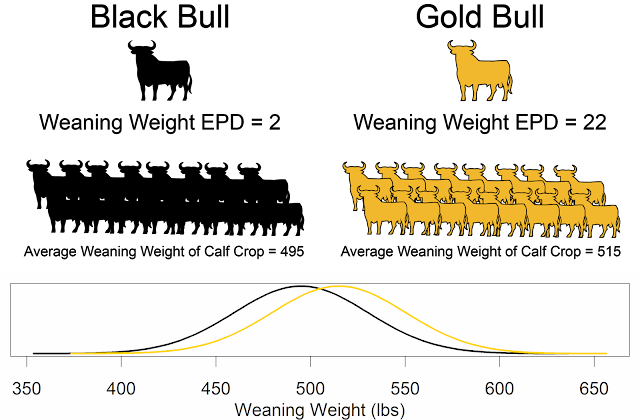 Examples of economically relevant traits: heifer pregnancy. Weaning weight is an economically relevant trait dependent upon your marketing endpoint; if you sell calves at weaning then it is economically relevant, but if you sell at a different time point it is an indicator trait. Birth weight is not an economically relevant trait. It is a great indicator and we need to continue to use it. Why are we still reporting it??? Guideline: Only publish EPD that are used in any type of partial budget decision analysis. Partial budget decision analysis is any analysis that predicts the finicial impact of incremental changes in revenue and cost. Sire summaries have gotten better. Selection indexes are a move in the right direction, but they often include both ERT and indicator traits. They are also not environment specific and do not take nonlinear effects into account. Ultrasound EPDs have been removed from all sire summaries. But, birth weight EPDs still remain in all sire summaries. EPDs are just parameters that should go into decision analysis tools. Do we make decisions similar to pre-sabermetrics age of baseball? Are we making decisions based on perceptions or data? We need to educate commercial producers about what the proper traits to use. It is time for breed associations to rip off the band-aid of reporting indicator trait EPDs. The most prominent example is the birth weight EPD. Which breed association is going to have the courage to change from historical practices? Which board of directors is going to push their breed to be proactive and use best practices? Breed associations cannot control which traits or records are in sale catalogs, but breed associations can control what is in a sire catalog or registration paper. Admittedly there will be an uncomfortable period, but I strongly believe this will be a great educational opportunity. We can educate seedstock and commercial producers about the best practices of genetic selection. 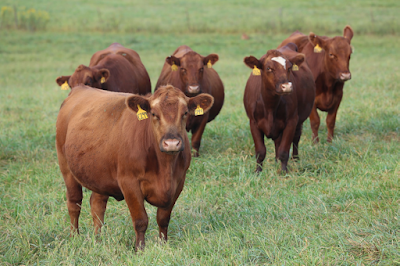 We can help point beef producers toward a profit motivated selection system. Let's grab this educational opportunity by the horns.